The world’s thinnest tower opens in Brighton today, offering views of up to 26 miles of Sussex coastline. The British Airways i360 viewing tower stands at 531 feet (161 metres) and was built on the site once occupied by the entrance to Brighton’s ruined West Pier. Visitors, in groups of up to 200, will be able to ascend 450 feet (137 metres) in a curved-glass pod giving them a 360-degree view, from Bexhill in East Sussex to Chichester in West Sussex, with the South Downs to the north. 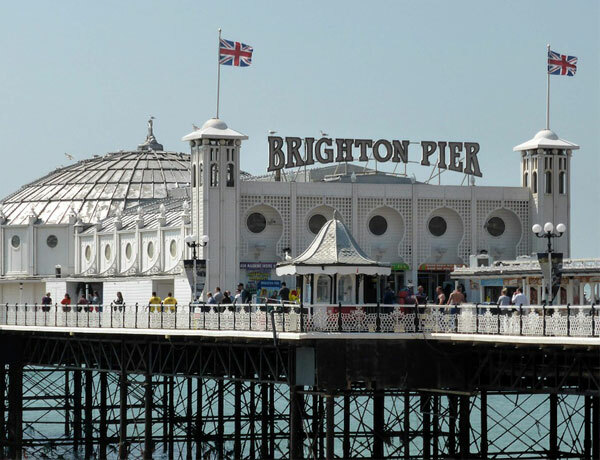 According to Eleanor Harris, Chief Executive of i360, the tower will transform Brighton’s tourism prospects, and put the town on the map, promoting it around the globe. The first preview flights have already taken place, ahead of the official launch which will see a firework and light show take place. Eleven years in the making, British Airways i360 is the brainchild of architect-entrepreneurs David Marks and Julia Barfield of Marks Barfield Architects – best known as the partnership that designed the London Eye. British Airways i360 has been described as a modern-day ‘vertical pier’ which aims to entertain, and has been designed and engineered with innovation in mind in order to replicate the West Pier when it was initially built. Construction of the tower cost £42.2 million and was partly funded by the Government’s Public Works Loans Board (PWLB), who put in £36.2 million.